The book overall is a great read particularly because I find the lives of the aristocratic and legendary endlessly fascinating. 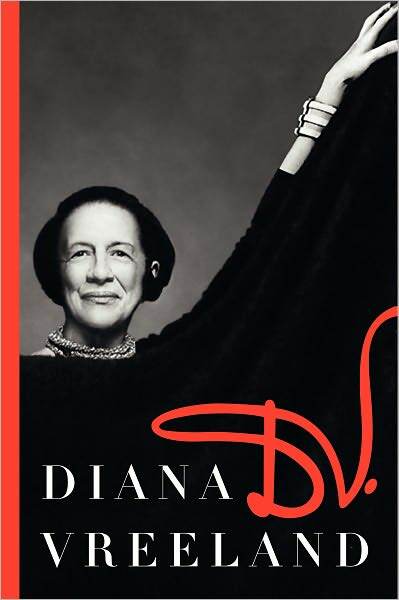 Vreeland, former Vogue and Harper’s Bazaar EIC and former director the Metropolitan Museum of Art’s Costume Institute, lived a truly fabulous life amongst this set — royal friends, custom clothes from Chanel, unlimited travels, chauffeured Bugattis, photography sessions with Andy Warhol… you name it, she lived it. The book captures her voice and her personality with many words in italics to emphasize her intonation and cadence. Her stories and observations range from sibylline to totally flighty (comments and opinions only someone with no worldly worries could declare), but it was fun to be transported into a different era and living style.